Before proceeding I’ll give a quick overview of the environment involved in the MetroCluster and the DR test. There is a stretched-fabric MetroCluster with a NetApp FAS6250 on each site. Both sites connect to their own pair ATTO 6500N bridges for fibre conversion and a pair of Cisco MDS 9148 fibre storage switches. The connection between sites from a storage perspective is across an aggregrated 2 x 1GB dark fibre connection. Each controller node has it’s Service Processor connected to an out of band management switch. 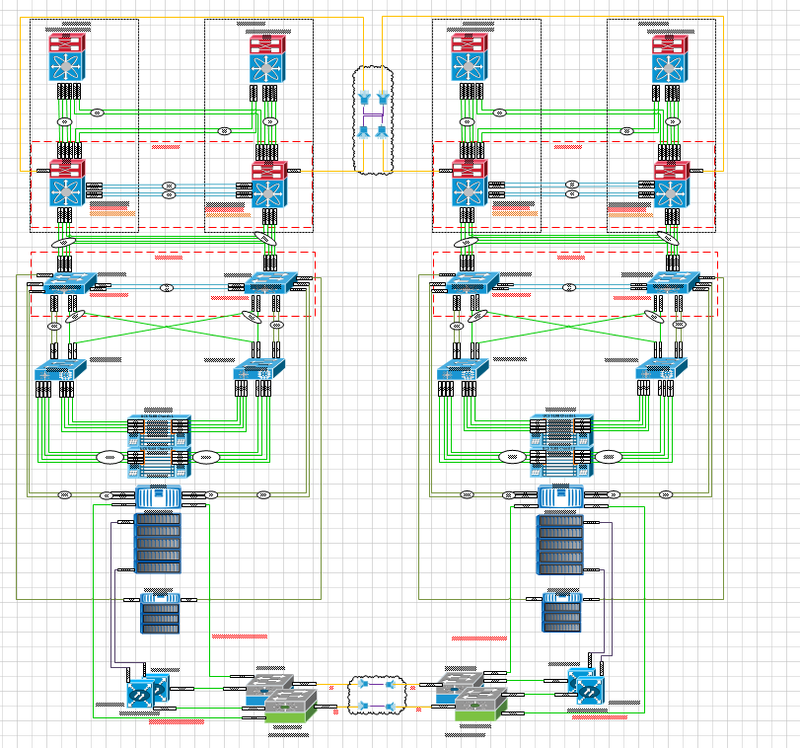 Each of the controller nodes is connected to a pair of Cisco Nexus 5548’s which are in turn cross-connected to a pair of Cisco Nexus 7009’s. The Nexus 7K’s on both site are connected to other site and OTV is used to enable a VMware stretch-cluster. This link is made up of 2 x 2Gb fibre connections. From a compute level the Cisco UCS 5108 chassis and Cisco UCS 6248 Fabric-Interconnects are being used and are connected into the Nexus 5K’s. There are two UCS chassis within each UCS domain. 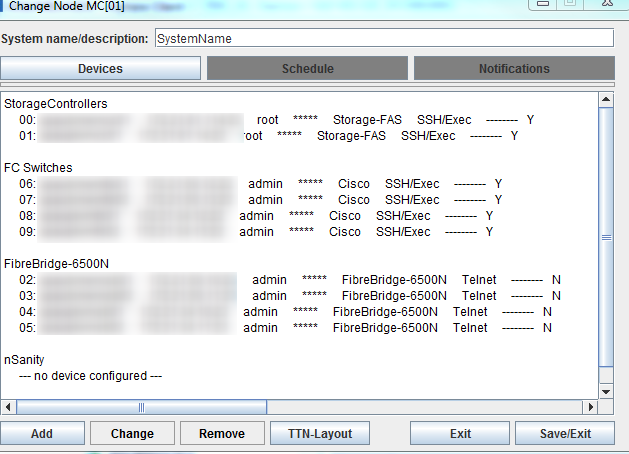 Each site is made up on one UCS domain which is managed centrally using Cisco UCS Central. As you can see there’s quite a lot of moving parts and each one needs to be taken into account for the DR test. The decision was made to not power down the Nexus 7K’s as it provides routing for other production systems, namely the factory production systems including SCADA. All other components were included in the test. Below is the 10,000 feet view of the infrastructure. I would highly recommend for anyone that wants to know more about how MetroCluster works to have a read through these documents. It’s not the easiest reading you’ll ever do but it’s definitely worthwhile. I would also recommend checking out the NetApp from the Ground Up series by Will Robinson (@oznetnerd) but most of all his write-up on SyncMirror and Plexes is excellent. Following on from all my studious reading I installed the Fabric MetroCluster Data Collector (FMC_DC) tool from NetApp. FMC_DC is a useful tool to show if the MetroCluster environment is configured correctly and will allow failover of one site to another. Download the software from http://mysupport.netapp.com/NOW/download/tools/FMC_DC/. You may need a NetApp Now account to download the software. Once all devices are added the FMC_DC will go out and scan the entire Metrocluster infrastructure and ensure there’s sufficient multi-pathing, correct configurations and no alerts that would cause a failure of the MetroCluster failover. The green object is the correctly configured item, the yellow was configured with a lot of the components added. Before beginning the test I would highly recommend going to your data center and giving everything in your environment a visual check. This may seem obvious, and in reality all of the steps in the planning phase are, but you’d be surprised at the number of people that don’t give their kit a visual once it’s been installed. You’ll want to know exactly where everything is connected physically so in the event that you need to disconnect/connect anything you’ll know where it needs to go. In my case I had to check that all related equipment was in the same rack cabinet and that I could find the power for the PDUs to turn off the cabinet power at the source to simulate a power outage. This should be done for both sites but it if you can’t manage that at least make sure the site you’re shutting down for the DR test can be reviewed. Performing any DR test should be well documented to ensure that it can be easily reviewed later by both IT personnel and by quality assurance/audit teams. While it adds extra to your workload it is invaluable in the long run. There are quite a few steps involved in performing a DR test within a MetroCluster and my advice is to work out all tasks and break these tasks into the steps in which they will need to be performed and from there place them into test cases. Each test case should be reliant on the previous one succeeding and if not it should reference another successful test case. Good documentation means that you can return to it later and still understand exactly the process that was followed. It’s pretty much what I did in order to write this blog post. It’s been almost 6 week since I did the test and I’ve been quite busy since then so the chances or remembering each step is minimal so I reverted to my documentation to remind me of the stuff that I had forgotten. I would highly recommend opening a pre-emptive support call with Netapp a few days before you are about to proceed with the DR test. This will shorten the amount of time it will take to get the call escalated should you need it on the test day and it will also make support aware that the test is taking place and they will know where to begin looking within the AutoSupport files to find any problems faster. Go to https://support.netapp.com and open a service request. You may not have to use it but most likely it will be as you’ll want the support engineer to check over your environment and the autosupport files before performing the giveback. This was even recommended by our local NetApp engineers as it was at this point they always saw problems which had usually been caused by the SP being connected when the DR test was run. This entry was posted in MetroCluster, Netapp and tagged 7-Mode, 7-Mode MetroCluster, DR, DR MetroCluster Failover, NetApp, NetApp MetroCluster. Bookmark the permalink.